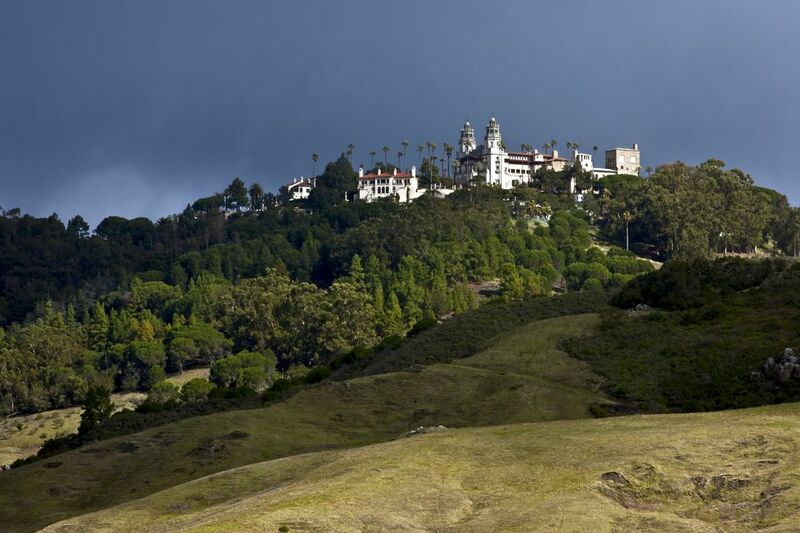 If you want to camp near the famous Hearst Castle on the California coast, have the right expectations. No campground in the area will get you quite as close to the castle as the photo above might imply, but you will find plenty of options in the area. This guide includes campgrounds between the towns of San Simeon and Morro Bay. Both locations are convenient for visiting the whole area. North of Hearst Castle and the town of San Simeon, places to camp are scarce until you get to Big Sur, which is about 70 miles away. If you're planning to visit San Simeon or Hearst Castle, especially during vacation season and you want to stay in a state park campground, you'll need to get a head start on reservations. Or be very flexible about your dates. California’s state parks reservations process can be confusing. It’s set up in a way that forces you to plan months ahead. But never fear; you can use this guide to find out how to make California state park reservations. If you like the idea of camping but don't have your own vehicle, it's not a problem. Luv2Camp offers camping trailer rentals, and they will deliver them to your campsite at most of the spots listed below. If you're taking an early tour at Hearst Castle or if you visited the castle the day before and are continuing your north through Big Sur, you can camp at San Simeon State Park, where they can accommodate trailers and motorhomes up to 35 feet long. They also have an RV dump station and showers. These campgrounds and RV parks are clustered around the town of Morro Bay, which is a great place to stay for a visit to the area. Montaña de Oro State Park: A beautiful state park with family campsites, a few spots for self-contained RVs and tent camping spots. Pit toilets only. It's six miles south of the town of Morro Bay. Morro Bay State Park: One of the prettiest camping spots around Morro Bay, situated in a grove of eucalyptus trees, and with a nice restaurant a short walk away. It overlooks a small boat marina. Campers to 35 feet long with hookups are allowed and they have a dump station. They also have coin-operated showers and restrooms. Bay Pines RV Park: Bay Pines is a family-owned RV park with 112 spaces with hookups, a pool, and a heated spa. They allow dogs with no extra fee (but with restrictions). Morro Dunes: You'll find lots of sites for tents and RVs, some with hookups or partial hookups. They have a dump station, hot showers, a general store, and a laundromat. This park is very close to nine miles of beautiful beaches. Morro Strand RV Park: This is a newer RV park, with larger sites and lots of amenities. If you have a larger vehicle, they say "If it can fit on the road, it can fit in our park!" Tent trailers are allowed but not standalone tents. Pets are allowed for a small fee. Morro Strand State Beach: Morro Strand is as close to camping on the beach as you'll get in San Luis Obispo County, with their oceanside campgrounds separated from the beach by small sand dunes. They can accommodate campers up to 24 feet long but have no hookups or dump station and no showers. Sites 41, 43 and 45 have views of Morro Rock. Rancho Colina RV Park: Rancho Colina is an RV-only park with 46 spaces and full hookups. They allow pets and have WiFi at their overnight sites. They also have restrooms, showers and a laundry. It’s hard to believe in the 21st century, but this place doesn’t seem to have a website. They're located at 1045 Atascadero Road in Morro Bay and their telephone number is 805-772-8420. You can get a little more information about them at the Good Sam website. To give a sense of scale, the map is about 50 miles from top to bottom. For a larger map with more interactive features, use this version at Google maps.